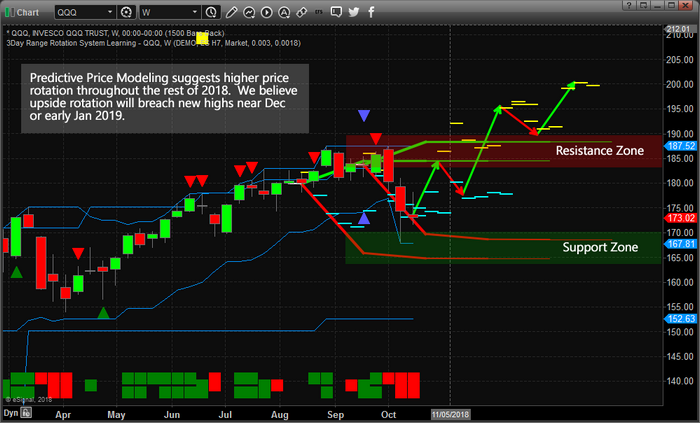 Our proprietary adaptive learning tools, specifically our adaptive predictive price modeling tool, is clearly illustrating higher price rotation over the next few weeks with a strong potential that the US equities markets will break to be all-time highs near Dec 2018 or early 2019. Our research team has spent more than a decade studying the markets and developing specialized tools to assist us in understanding current and future price activities. This one tool, the Adaptive Dynamic Learning (ADL) Price Modeling system is one of the more dynamic tools we have ever created. We can ask it what it believes is the highest probability future outcome many weeks, months or years in advance. Today, we are sharing with you what we believe will be a strong upside price rotation to close out 2018 and lead into 2019. This QQQ Weekly chart shows two data points of our ADL price modeling system. The reason we asked for these two points of analysis is that we attempt to identify aligning price analysis when using this tool. In other words, when the analysis aligns well in multiple instances, we believe the outcome to be more sustainable going forward. In this instance, data points originating from August 13 and September 17 clearly highlighted the downside rotation in early October and suggest we could see another 2 to 4 weeks of price rotation near the “Support Zone”. These ADL predictive levels also align well with our suggestion that a November 8 ~ 12 ultimate price bottom will set up. After that, we still believe the markets will enter a rally mode that could present a 10% to 12% upside move well above recent highs – breaking through the Resistance Zone quickly. The one concern we have regarding this future price prediction is that out modeling systems are showing the Precious Metals are also setting up for a bigger move and that allows us to understand some of the dynamics that are at play in the markets. If the metals begin to move higher while the US Equities markets also move higher, it would indicate a moderately strong “capital shift towards safety and away from risk” is taking place. Thus, the US equities markets and Precious Metals would BOTH be moving higher at the same time. We believe this could be an event that puts additional pressures on the Emerging Markets, Oil, Foreign Currencies and other commodities while the US Dollar continues to maintain overall strength. We’ll know more in early 2019. Right now, we can tell you that our modeling systems are suggesting “the bottom is in” and that we should be expecting upside price rotation throughout the rest of 2018. 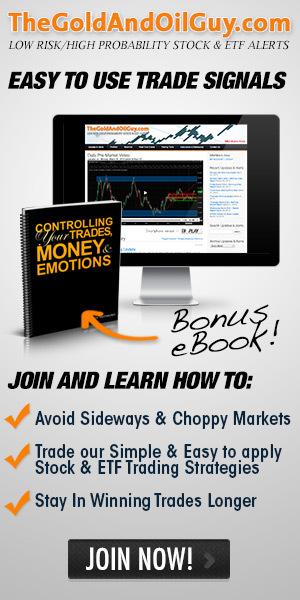 Please take a minute to learn more about what we do and how we can assist you in finding and executing better trades. 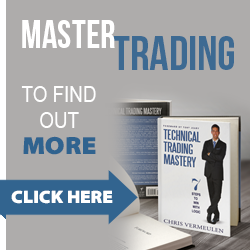 Visit www.TheTechnicalTraders.com to learn more about our team, our tools, and our services. Isn’t it time you invested in your future success?